Gives you a menu to load projects or templates from a designated folder. 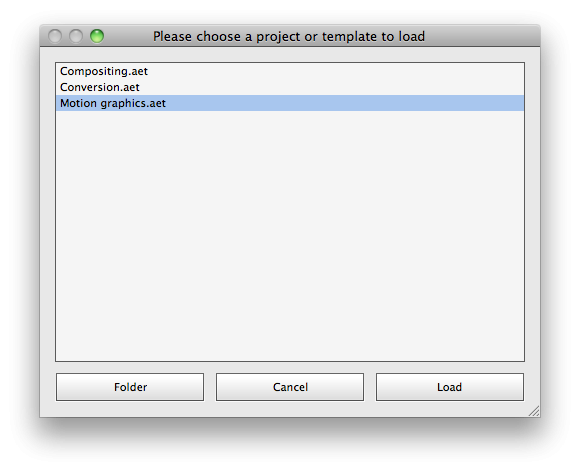 If it is installed in the Scripts->Startup folder it will run every time After Effects starts up. For example, if you have a certain folder/file structure or camera rig, etc that you like to keep for your AE projects, you can setup a virgin project the way you like it and save it as a template by giving it a .aet extension. Now every time you launch AE your custom setup will be automatically loaded.